Marco Bicego necklace from the Masai Collection. 18-karat white gold with hand-engraved finish. 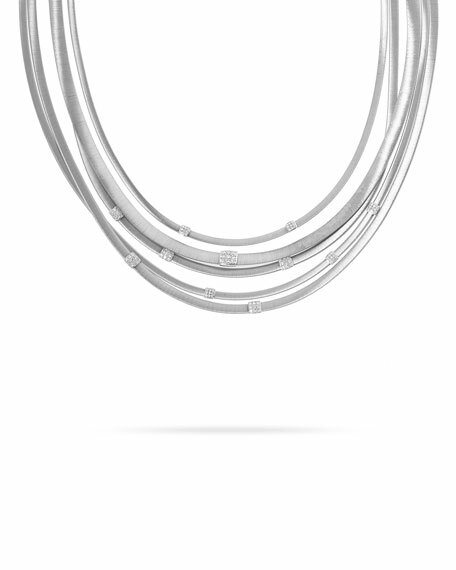 Five strands with pavé diamond stations. For in-store inquiries, use sku #1961208.